I will admit that most days, I don’t wear much makeup (if any). I’ve never been a cosmetic junkie (not sure exactly what that is, but I’ve heard the term many times and I’m quite sure it doesn’t apply to me). Once I find something I like, I will generally use it forever, just so I don’t have to try something new. Case in point – the MAC eyeliner that the makeup artist put on me a few weeks before my wedding — in 2004. Yep, wore that same color for the next 10 years. Now, lipstick is another story. It’s so easy to try something new (and lose the one in my purse) so I’m a bit more adventurous. I also feel like it’s really important for my lipstick to be a safe product — you know — since it’s on my mouth! 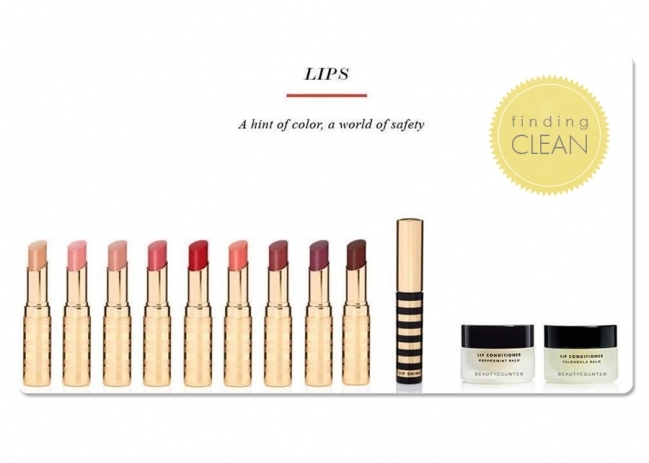 There are actually lots and lots of options for safe lipstick and lip gloss out there. You can check the Skindeep Database on EWG and find so many. That is a GOOD thing! One of my favorite lip gloss products that I found is Gabriel brand – in Nectar. It’s about $17 and you can find it at Whole Foods and online. The only con is it gets messy from opening and closing it, so I often have to wipe it down with a tissue. 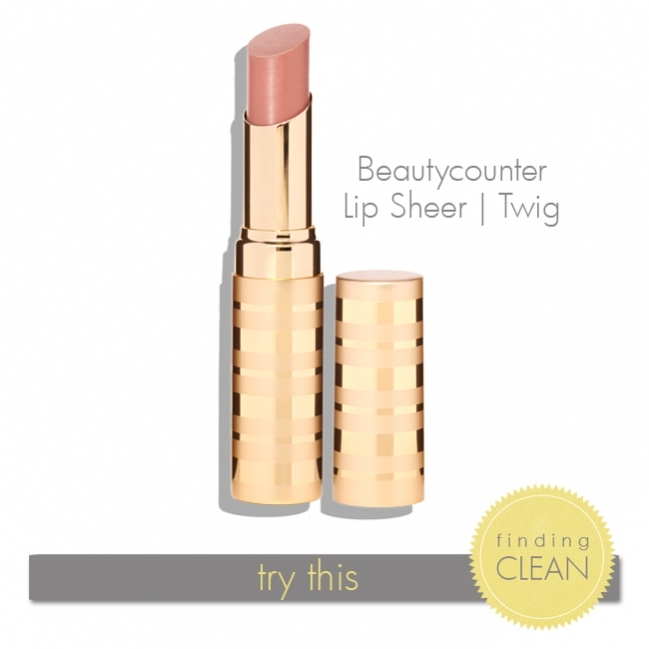 Beautycounter has a beautiful Lip Sheer product that is awesome as well. Each one comes in a gorgeous gold case, it goes on smooth with a touch of shimmer. I love that I don’t need a lip liner, it doesn’t bleed, and it stays on for hours! The colors look much darker than how they go on your lips. For instance, the plum looks VERY dark, but it’s a beautiful, slightly sheer, burgundy shade. My favorite so far is the Twig because I can use it everyday and it’s just a hint of color. Oh, and they don’t have any weird taste – YAY!